If you designed a beautiful vintage kitchen, then your dining room should continue the decor theme, so make it also beautifully vintage. Choose the epoch you love, then go decorating! 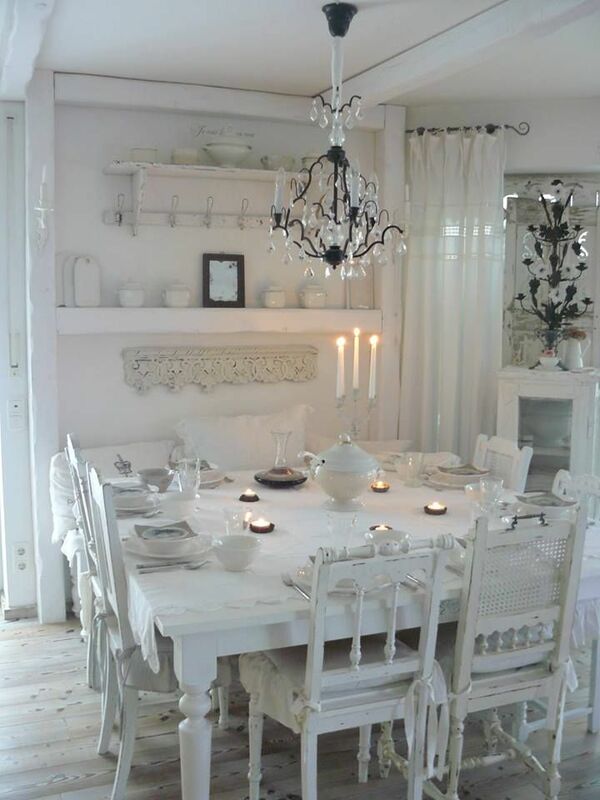 In vintage interiors the walls and floors are often whitewashed, or you can make the floor in natural wood. The furniture maybe also whitewashed for a refined look or upholstered with some beautiful floral fabric. If you want a shabby chic touch, find some shabby furniture at the flea market. For a rustic touch, make or buy some pallet furniture. Crown it all with a statement chandelier and candelabras and voila! Get inspired by the ideas below!